Cremona is known for its artisan workshops that have been producing high-quality stringed instruments since the 16th century and for the Torrazzo, one of Europe’s tallest surviving medieval brick towers, housing one of the world’s largest astronomical clocks. It’s a small city that makes a good place to spend a couple of nights with a compact historic center that’s pleasant for walking or sitting in a bar savoring the sights. We stayed at and liked Hotel Duomo, a small hotel near the cathedral. Our friends liked Albergo Visconti, a 3-star hotel outside the city center that has parking and bicycles for use by guests. Bed & Breakfast Il Torrazzo is a highly rated B&B. To try Cremona’s traditional dishes and wines, head to Osteria La Sosta, near the main square. Try the gnocchi Vecchia Cremona, large baked gnocchi stuffed with sausage, a dish that originated in the early 17th century. Cremona is known for mostarda, fruit preserved in syrup that gets a kick from powdered mustard seed, and torrone, a nougat candy. The provinces surrounding the cities of Mantova, Cremona, Brescia, and Bergamo made up a European Region of Gastronomy in 2017. See more about what to eat in Cremona. Cremona is on a rail line and its train station is a short walk north of the historic center. By car it’s right off the A21 autostrada. Just before you get to the center there’s a large parking lot and from there it’s a short walk into the center (driving is restricted in the center). The closest airports are Milan Linate, Parma, and Bergamo. Cremona is in northern Italy’s Lombardy region. Start your visit in Piazza del Comune, Cremona’s main square. Grab an outside seat at the cafe on the ground floor of the Palazzo Comunale, the town hall, where you can enjoy a great view of the cathedral and square along with your drink. The portico is decorated with 13th century and Renaissance frescoes. Visit the Palazzo Comunale to see its decorated rooms, art works, and the collection of historic violins from the 16h – 18th centuries. You may even get to hear one of them being played. Cross the piazza to the duomo, or cathedral, originally built in 1107 but destroyed by an earthquake 10 years later. The current cathedral was constructed in the late 12th century in Romanesque style but there are elements of Baroque, Renaissance, and Gothic styles from remodels. Inside are 14th – 16th century frescoes including a beautiful fresco series of the life of the Madonna and Jesus. A Renaissance loggia connects the duomo to the Torrazzo, the bell tower. The Torrazzo, the cathedral’s 112.7 meter tall bell tower dating from the early 1300’s, is said to be Europe’s oldest brick tower over 100 meters tall. On the front of the tower is the 16th century astronomical clock. Climb the 502 steps for an up-close look at the statues on the cathedral facade from the terrace and fantastic views of the city, countryside, and Po River from the top. See Torrazzo hours and cost and views from the Torrazzo. On the other side of the the duomo is the octagonal, Romanesque Baptistery of Saint John, built in 1167, with a marble baptismal font dating from 1527. Behind the cathedral and baptistery is a large square, Piazza S Antonio Maria Zaccaria, with the early 19th century Bishop’s Palace. In medieval days, the piazza was the site of the fish market and salt warehouse. Learn all about violins at the magnificent Museo del Violino in Piazza Marconi (closed Mondays). Inside the museum are excellent multi-media exhibits about the history of the violin and how they’re made. There’s also a large display of violins and other string instruments and an auditorium with a stage at the center, built to optimize acoustics for musical performances. The Civic Museum Ala Ponzone-Stradivariano has a display of stringed instruments and artifacts from Stradivari’s workshop. It also houses paintings from the middle ages through the 20th century, ceramics, cathedral artifacts, and archeological finds including a large collection of coins. Cremona also an archeological museum and a natural history museum (all closed on Mondays). Cremona is still home to many violin makers’ workshops and has a luthier school. As you stroll through the city, look for signs that say liutaio to find violin makers and peak through the windows to watch them at work. Cremona’s traditional violin craftsmanship is on the UNESCO list of Intangible Cultural Heritage. Andrea Amati is said to have invented the violin in Cremona in the 16th century. The city’s most famous violin maker was Antonio Stradivari, credited with perfecting the violin, who produced more than 1000 string instruments in the late 17th to early 18th centuries. Stradivarius violins are still regarded as the best today. 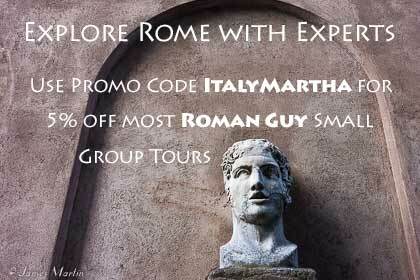 There’s a large statue dedicated to him in Piazza Stradivari Antonio. 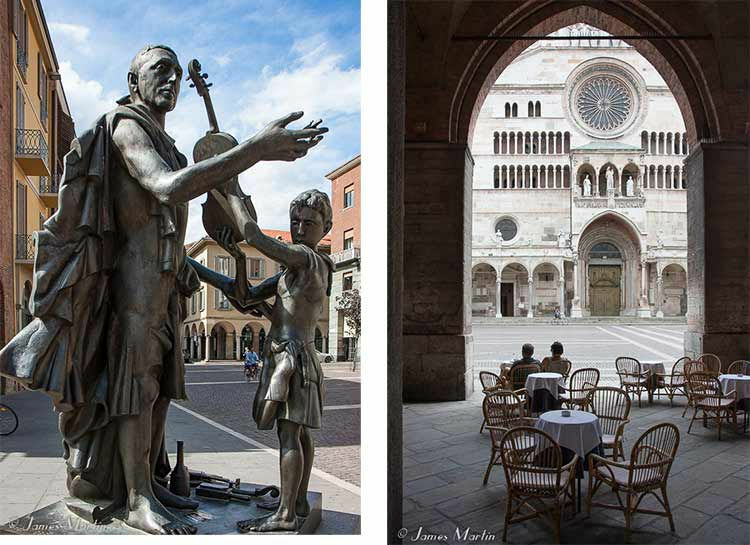 Take a guided walking tour of Cremona and the Violin Museum. 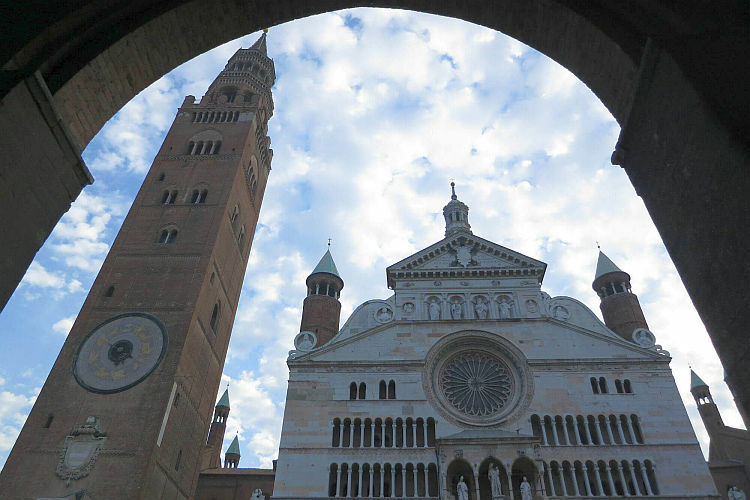 Cremona makes a great base for day trips to nearby towns in Lombardy and Emilia-Romagna. 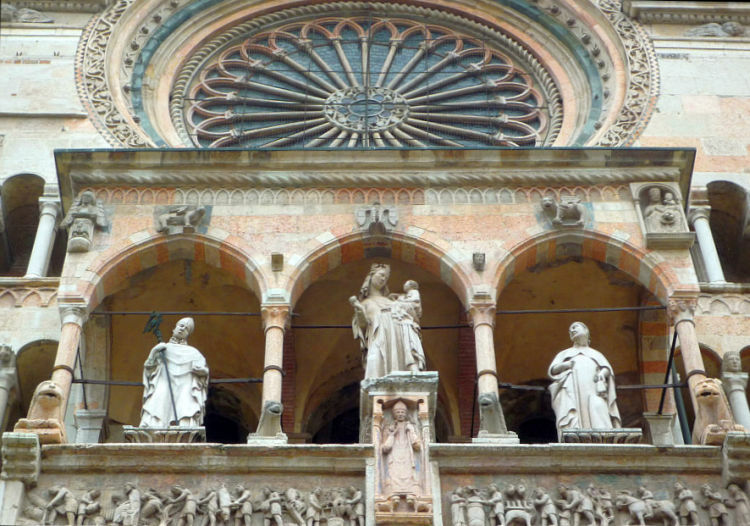 The small cities of Fidenza and Piacenza are a short train ride away. 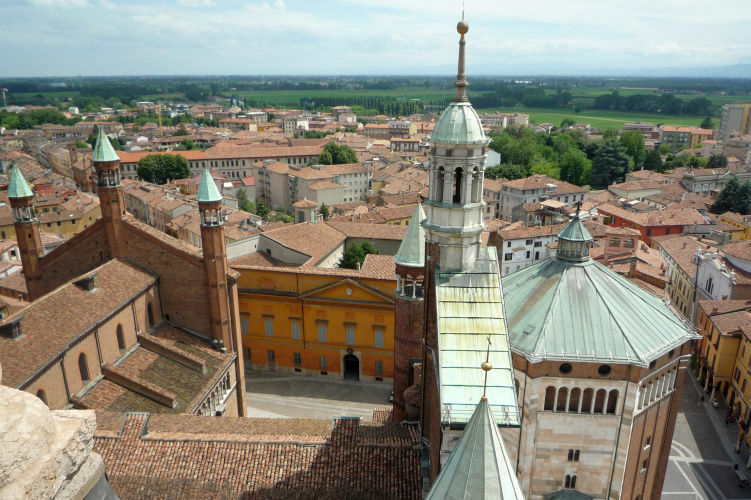 Brescia, an often overlooked city that’s well worth a visit can be reached in an hour by train and the beautiful Reniassance city of Mantova is even closer. Milan can be reached in a little over an hour on the fast train.